Multi award-winning Nigerian artiste, Davido wanted in Gambia for allegedly assaulting a celebrity photographer, Kenny Egbuke in the country. According to a report by the Enquirer, the photographer had filed a complaint against the singer at the Kololi Police station in the country. It was gathered that drama allegedly started after a lady fan approached Davido for a selfie and he ‘shouted’ at her, prompting the photographer to step in. “It was also learnt that he even attempted to break the Hennessey bottle on his head, but his bouncers saved the day,” the Enquirer report added. 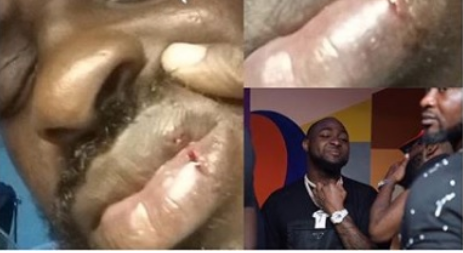 As at the time of filing this report, Davido is yet to respond to the allegations.